Ramon Lopez is a real estate agent specializing in all aspects of the South Florida market. By employing state-of-the-art technology and marketing techniques, Ramon is able to place his clients in the most favorable position when purchasing or selling a property. 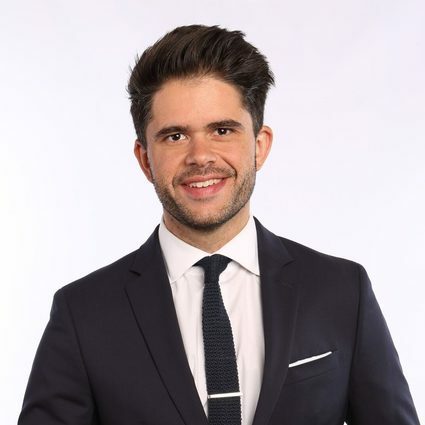 However, Ramon understands that real estate requires a human connection, and therefore, he is available to his clients on an almost 24 hr/7 day a week basis. Moreover, as a member of the Kurz Real Estate team, Ramon is able to work on multiple real estate transactions at any given time with the backing of multiple real estate professionals. This gives clients a sense of ease in knowing that their needs and wants are being addressed by an entire team, rather than just one agent. The Real estate market is no strange phenomenon to Ramon, as he grew up in this industry. With expertise gained during his time working in the development sector, he has been able acquire an intimate understanding of the intricacies of both the building process as well as the marketing aspect of this industry. As such, Ramon's attention to detail and expansive knowledge has earned him the title of the "Go-To Guy" when it comes to locating, purchasing, renting, or selling the right property. As a South Florida native, Ramon was born in Coconut Grove, Fl and raised in some of Miami's most vibrant communities. This background has allowed Ramon to develop a deeper understanding of these communities from not just a personal standpoint, but from a professional one as well. Therefore, his expertise lies within Coconut Grove and the surrounding areas (Coral Gables, Brickell-Downtown, South Miami, Pincecrest, and Miami Beach). To Ramon, providing accessibility to his clients is a key element when cultivating the agent-client relationship. Therefore, he prides himself in maintaining transparency and providing effective communication throughout the entire transaction process. By providing this level of accessibility, Ramon is able to ensure that any questions or concerns that his clients may have are addressed promptly, thereby eliminating any potential roadblocks. Whether you are a ﬁrst-time buyer or a seasoned seller, having an effective agent is essential to getting the job done. Ramon's keen eye for detail and determination to provide honest and effective representation to his clients will ensure that you get the quick and effective result that you desire.